The term levitation is something we most often find in futuristic science fiction novels and movies. This is why so many people still think that levitation is still a thing in the future. Nothing is farther from the truth. There are already products that have emerged which use high technology to levitate things. 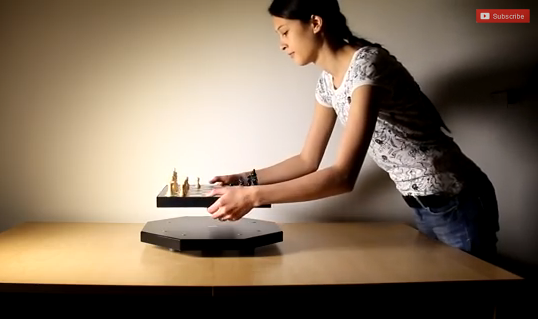 Like this product developed by Crealev, a levitation design company based in the Netherlands. Crealev calls the magnetic levitation device CLM 2. It's composed of two main parts: the base module and the carrier which floats in the air. The device is powered by electricity and it can carry loads that weigh up to 10 kilograms.